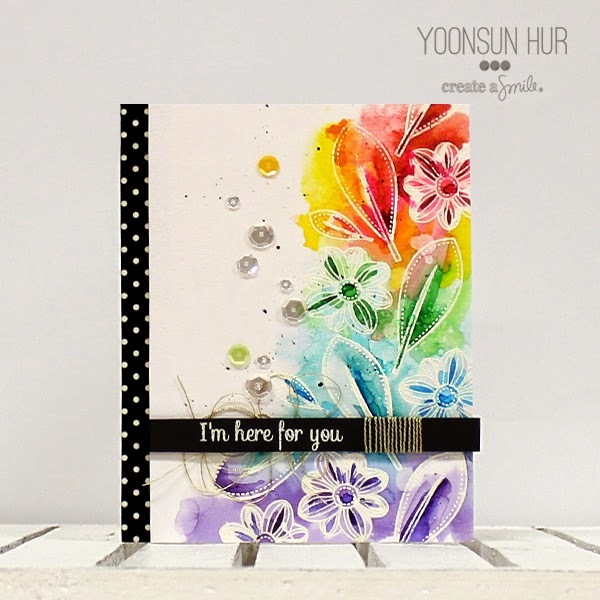 Hello crafty friends, Yoonsun here! 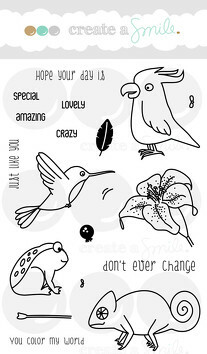 I am back with beautiful Botanical Love Stamp Set. Stamp randomly flower and leaves on the watercolour panel using embossing ink, white heat emboss. Colour it in rainbow order with Peerless watercolours using paint brush. Once dry, mount the watercolour panel on the white cardstock. Mount the black sentiment bar at the bottom side of the card. Gold thread and mixed sequins are the finishing touches. Apply clean water before watercolour the images when you do watercolouring. That way, You can have a richer, more vibrant watercolour look. Create A Smile Special Release Party is in full swing! Join our special event on facebook now!! 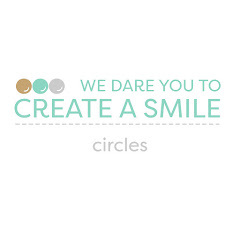 I can tell you being on the Create a Smile Design Team is a really hard job at the moment. There are going on BIG things backstage and it is so hard to keep the secret. The May release is extra special and so A W E S O M E ! Have you already joined the event on Facebook? You'll better do because you don't wanna miss the release party! And because I don't like suffering all alone I have some hints for you on today's card. I used the colors and two products of the extra special May release. And it is an interactive card again. When you pull the paper flap behind the boat it looks like that. The sentiment means "Take a break!" You can find a tutorial for this slider card here. For the soft blending on the bottom use VERY light pressure and add just a LITTLE bit of color. I didn't have a Copic marker that matches my patterned paper so I used colors from different groups for the sail of the boat. The second photo shows the colors more realistic. Just try it out until you are happy with the results. This technique for an interactive card is more complicated than the ones I showed you before (here and here) but I think it is so much fun. And if you don't have the patience Papertrey Ink has a die for this kind of card. Don't forget to like Create a Smile on Facebook and join the release party! Hi there it's Anja again, and for today I would like to focuse on flowers. I wanted to create a bouquet with the different flowers and do some no line watercoloring. I loved the watercoloring but wanted something different so after all the watercoloring was done I traced all the flowers with a black marker to create a sketchy look. First I took a watercolor paper panel and stamped the different flowers in antique linene distres ink and masked a lot. After this stamping I placed the negative from a circle die over the flowerbouquet and used the waves stencil to create a background. I then watercolored all the flowers using distressink. After the flowers were dry I came back with a black finetip marker to trace the lines of the flowers again to get a bit of a sketchy look. To give it some more interest I stamped some leaves in black ink. Took a chipboard word banner and colored it with a black marker. To finish it I placed some sequins at random. 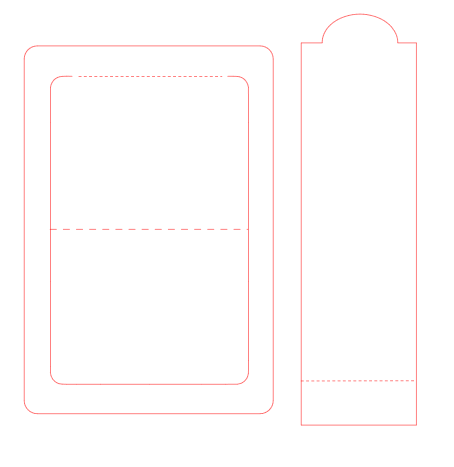 I could have placed my panel on some white cardbase but I would like to use the colors in the panel to come back in my cardbase. Adhered the kraft and the panel in a slightly angle to give it more dimension. After no line watercoloring you could give your card a complete other look by tracing the images with a marker to get a sketchy look. 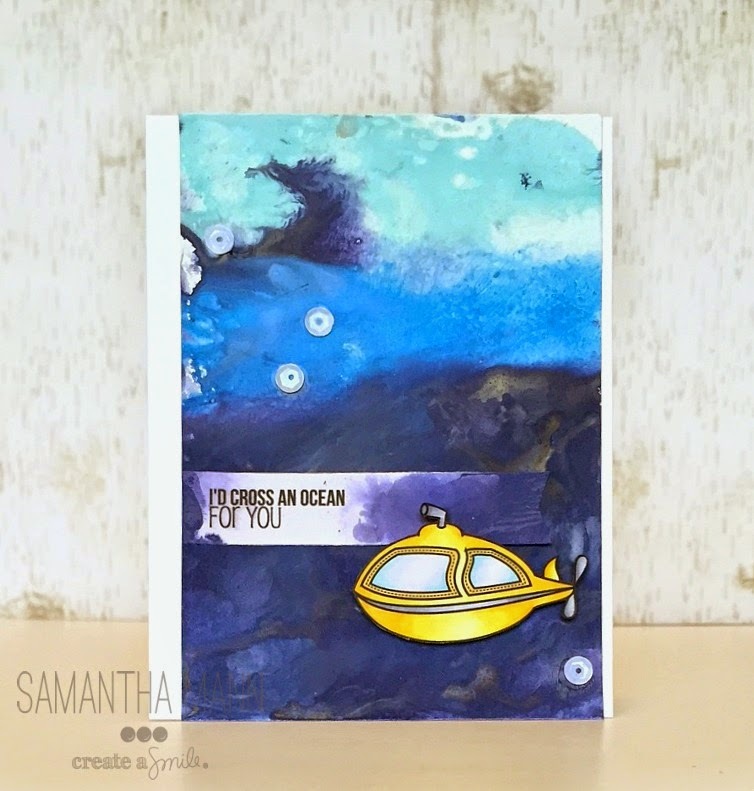 To give your card more dimension try placing your layers in a slightly different angle. 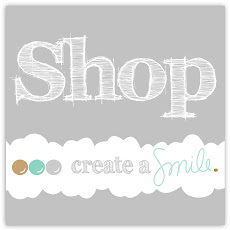 Did you notice that our stencils are back in the store? Hehe! I was thinking about that song on the title of this post when I was making this card. I wanted to make another week of "Stretching Your Stamps" but I was just dying to use the new stamp set that I just gotta use just the way it's perfectly is. I did not make any precise plan as to how I want my rainbow to be. I knew I wanted it to be out of the cup or rather, coming into the cup. I took some colours from my watercolour palette and start making strokes of colour :) Simple! When I have watercolouring on my projects, I like to start light. It is easier to add on than to take off :) This helps me with a lot of watercolouring disasters. This card can be achieve by just having a one layer. But I was being silly and I couldn't get my rainbowed centered so I had to cut the piece and stick it to a card base :) A tip for you so that you don't have to start over after all the work. I can't seem to get enough of watercoloring lately and today's card is no exception. I used Distress Markers to do all my stamping, except the sentiment. The reason I like the markers for this instead of the pads is because they don't put down as much color and it allows for selective inking. So not only can I stamp my flower parts in yellow, pink, and green all at the same time I can also leave parts uninked. Like the corners of my mug where I knew the leaves would hang over. I stamped and masked all my images before beginning my watercoloring. I'm so far from a professional it's ridiculous but here's how I do it. I lay down an initial wash of color on select parts that don't touch each other. Before it completely dries I drop in some additional color for shading. After it's all dry I revisit each part. I add any extra shading I want to and blend it in. Once all my coloring was done I added little details such as Wink of Stella and some white gel pen dots. To add shading you can scribble some ink on your craft mat/acrylic block and pick it up with your block or use the fine tip of your marker directly to the paper. My design is not your typical fluid watercolor. I used very little water. 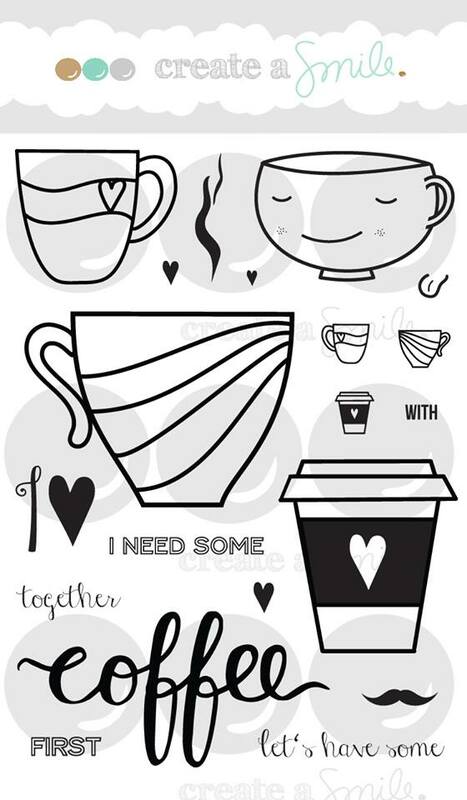 If you want a looser look add more water but it will distort your stamp shape more. You don't have to take the time to mask if you don't want to. You can just either not ink that portion of your stamp or wipe the ink away before stamping. See? So much fun, right? A little disclaimer before we get started: you're going to get messy...ha! But it's a good messy! - Using your piece of (heavier weight) cardstock, just lay it directly on top of the watery-painty mess. - Squish down with your fingers and lift up! Since all of the colors are wet, they'll blend together nicely. - Set aside to dry. - Cut a banner out of white cardstock and dip the sides into the paint mixture, set aside to dry. - Stamp the sentiment onto the banner. 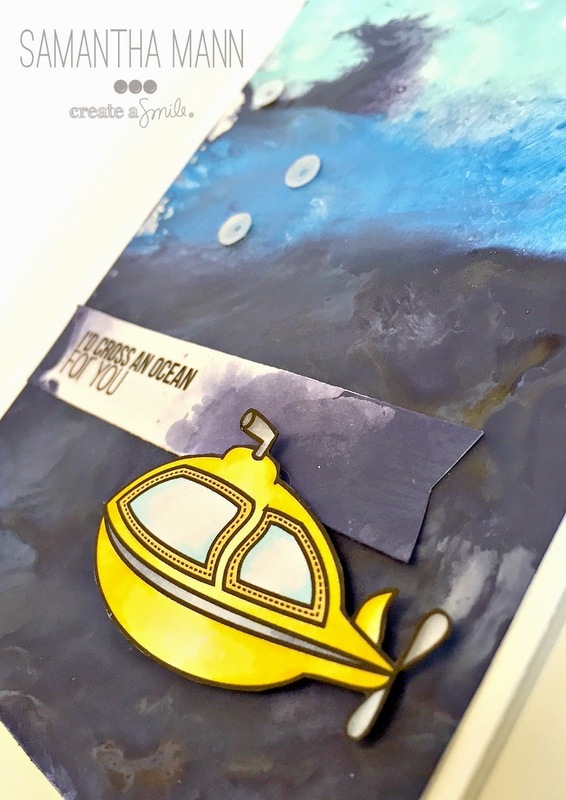 I used the adorable Underwater Love stamp set. MY FAVORITE! Ha ha! Each time you make a background, or play around with Distress Paints, you get a different outcome. That's why it's so fun! Imagine a background done in yellows and pinks!! What a fun Spring background that would make! 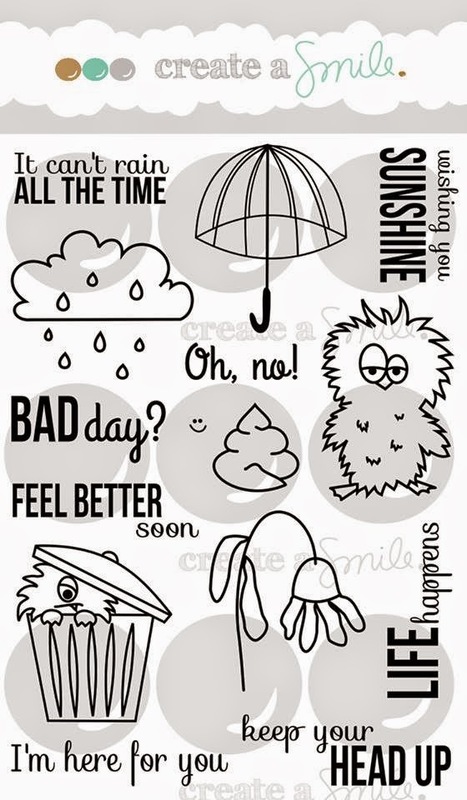 Hey, did you know that you can also now by Create a Smile stamps from a US based shop? YES! 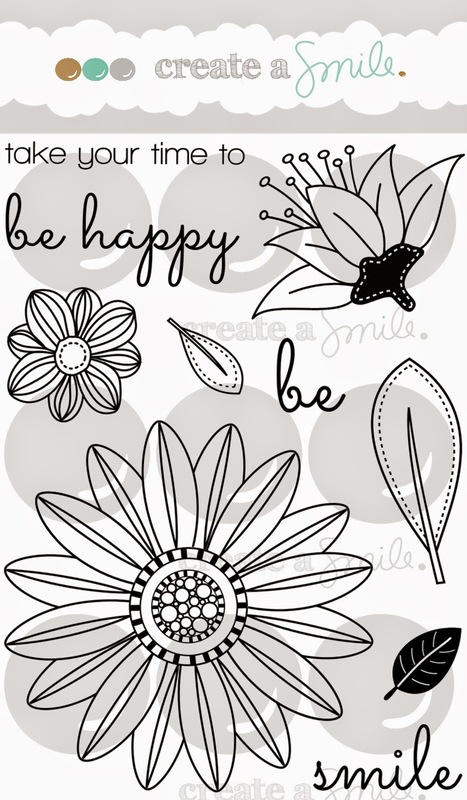 Butterfly Reflections Ink is now selling a selection of Create a Smile stamps!! I am SO excited about this! Check it out here! Thanks again, for spending part of your Friday with me! April Release Countdown #1 - GIVEAWAY TIME!